Maybe you don’t want to think about it, but the time for Christmas shopping will be here before you know it. Maybe you’ve even already started. Color me jealous if you have. What stresses you out the most about Christmas – anything? For me, it isn’t the decorating or the entertaining or even the shopping. It’s the wrapping and I know why. It’s because I have a majorly bad habit of tossing all of my purchases into a closet and waiting until the last minute to wrap them. Not gonna do that this year! If I’m going to keep my promise to myself, the very first thing that I need to do is to spend a weekend organizing my wrapping supplies. I’ve come up with a list of eight different ways to do that. 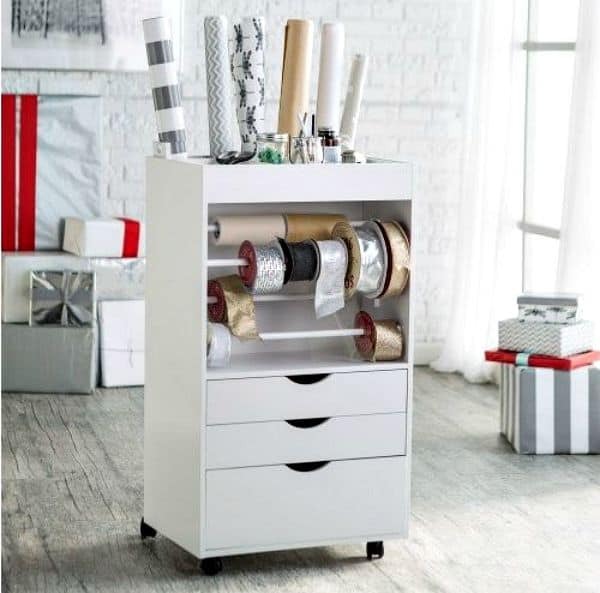 Perhaps the premo wrapping paper organizer, would be not one, but two side-by-side prefab ones, such as this one from Home Depot. 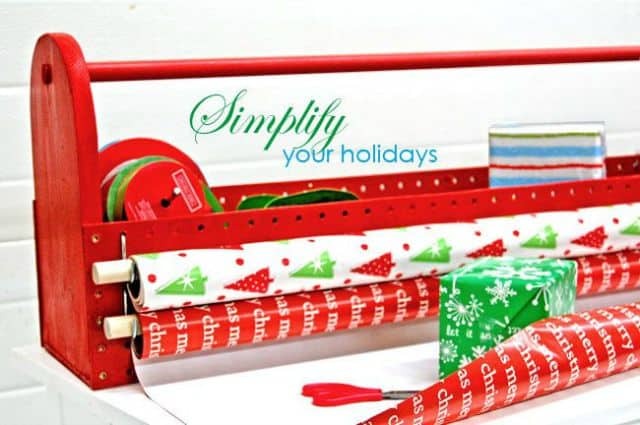 Looking for a mobile wrapping station? Here’s one from Hayneedle. All of the above are a bit pricey though. 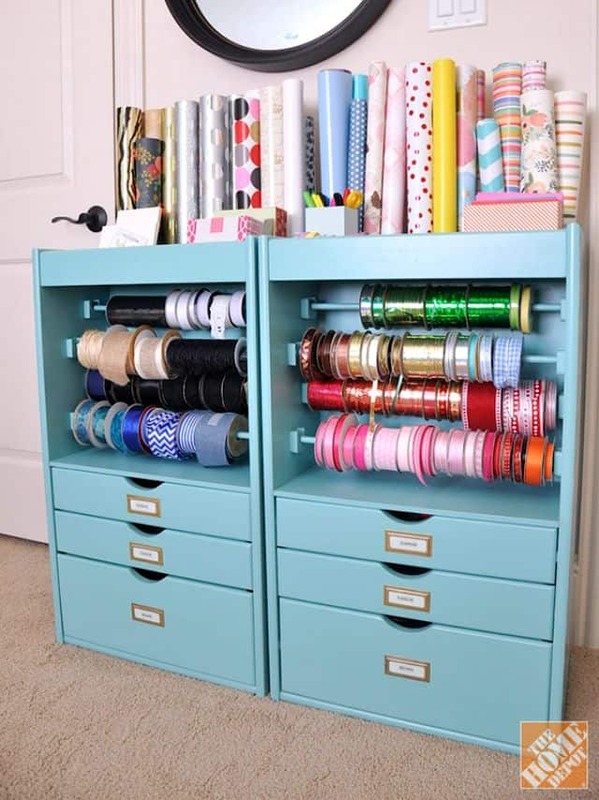 A less expensive alternative is to find space in cabinets, a dresser or a chest that you already own. 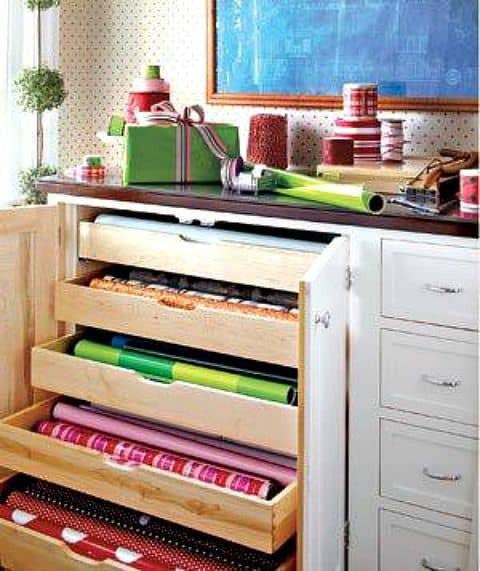 The nice thing about this idea is that the top could be used as a place to wrap the gifts. 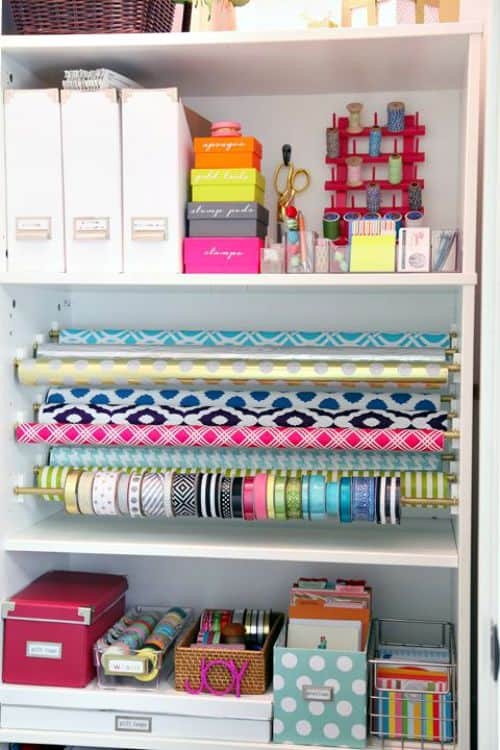 How about doing a little customization to the inside of a closet or some bookshelves? Perhaps you’re a diy’er. 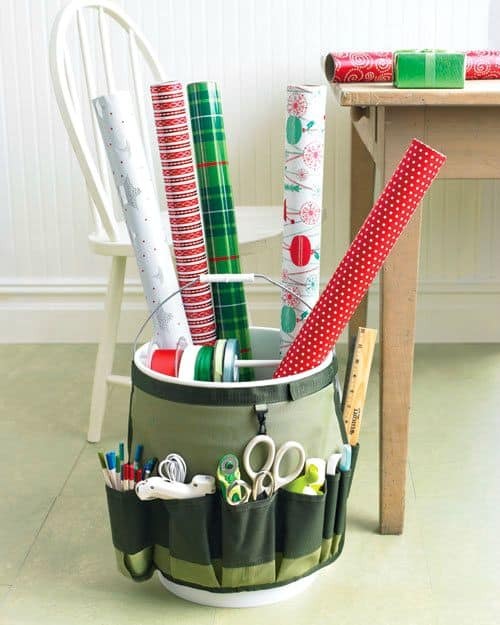 Get the directions for making this portable gift wrap tote at Ana White. You can diy a bucket organizer, like this one from Martha Stewart. Or if you don’t want to go to that much trouble, you could purchase a ready-made bucket organizer from Amazon for under $13 (affiliate link). You just can’t beat the price and practicality of plastic storage containers. 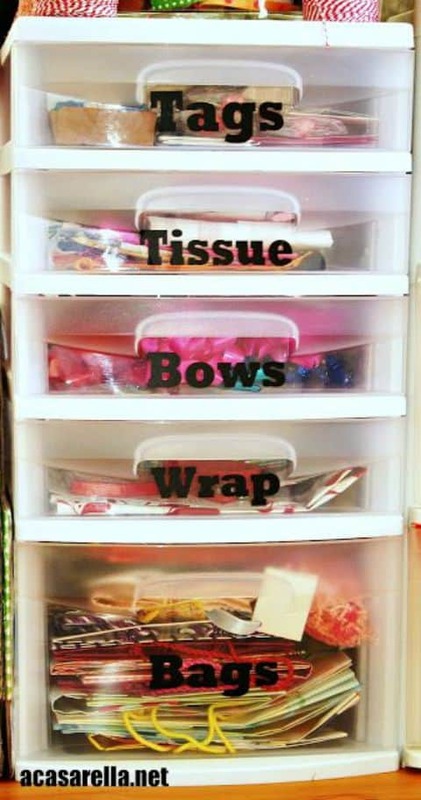 It can be a challenge to contain the myriad of gift bags that most of us have, but the drawers in this container are perfect for holding them all in one spot. And if space is at a premium, a large plastic bin with low sides will slide right under a bed. So, how about you? 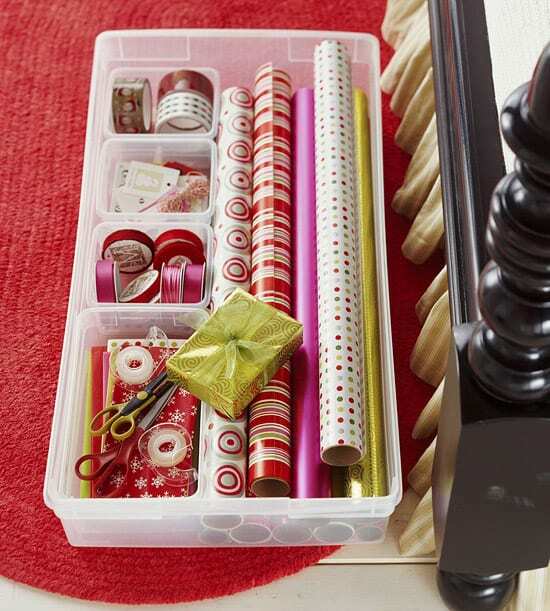 Do you have any great ideas for organizing wrapping paper? Don’t forget to pin it for reference! You can’t imagine how happy I am to find someone talking already about Christmas – because I do it too ! 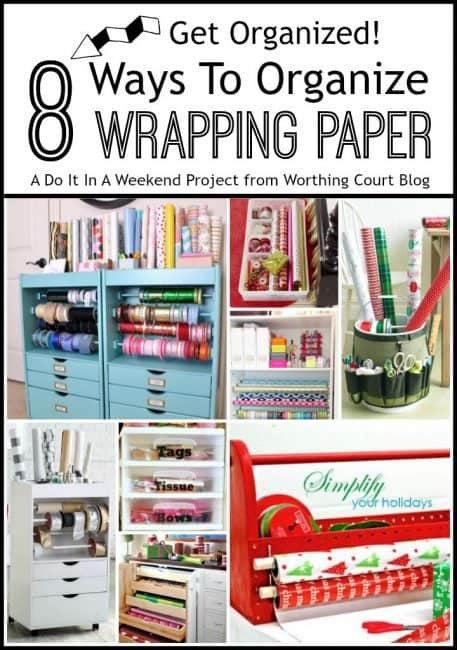 Wonderful ideas to have our wrapping things ready. 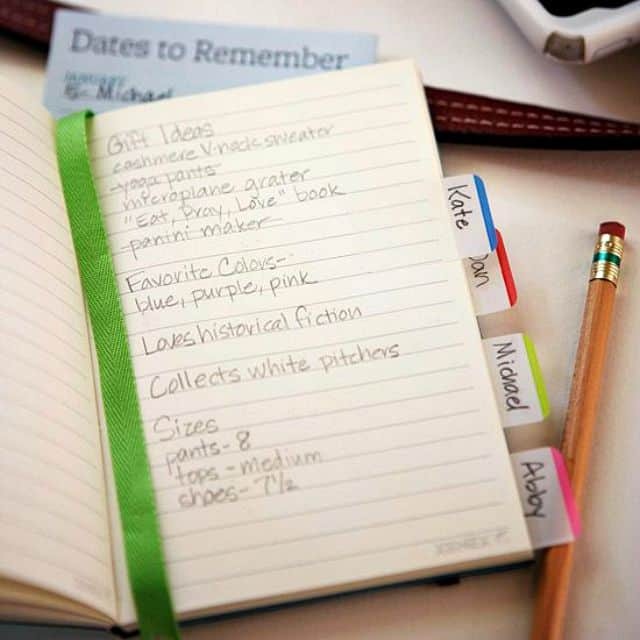 I must say, mine need a bit more organizing and you inspired me to do that this weekend. Thank you. Suzy as much as I balked at thinking about Christmas, EEEEEK!! I had to read this post. Loved some of the ideas! I think this is something everyone needs help with! I pinned away!! I know – I both dread and look forward to the Christmas season. Glad you found some ideas!